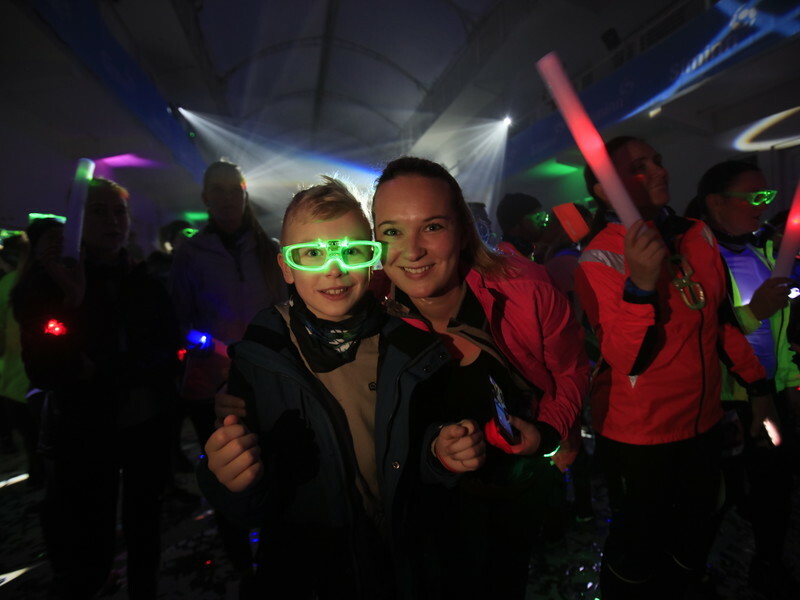 It's a 5 km long fun run or a walk through downtown Reykjavik where runners will see the city in a new and colourful light. Ditch your inhibitions and go all out in the illuminated streets of Reykjavík. All participants get their very own illuminating merchandise to use during the event, making you a part of the entire show from start to finish. This event is part of the Reykjavík Winter Lights Festival that has been celebrated the last 18 years. This is not a timed event because this is not a competition, this is an experience. Northern Lights Run is all about feeling healthy, having fun and spending an amazing night out with your friends and/or family. As you weave your way through it we encourage you to make it a fun and memorable night. We can't blame you for wanting to take it slow to embrace the atmosphere. we just ask that if you choose to walk, to stay on the right side of the course so that those who choose to go faster can pass safely to your left. This is YOUR electric runway and we encourage everyone to be creative in their clothing selection for the night, wear your brightest, most outrageous colour combinations and decorate yourself with lights and shiny things. Don't hold back – go beyond the ordinary but keep in mind that the weather in Iceland is full of surprises so dress accordingly. As much as we would love to be able to make a promise that the northern lights will honour us with their presence, we can't. But we are just as hopeful as you are. Join us on Saturday, February the 9th 2019 at 7 pm., you won't regret it!